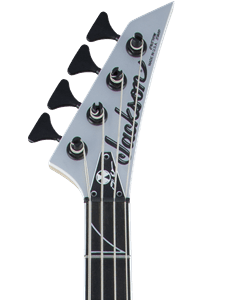 Designed in conjunction with one of the founding fathers of thrash metal—highly acclaimed bassist David Ellefson of Megadeth—the Jackson® X Series Signature David Ellefson Concert™ Bass CBX V is a beast of a bass. 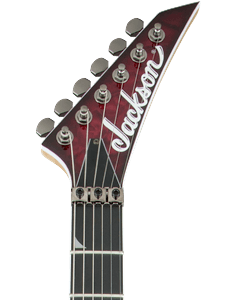 Bearing his personal touches, packed with enormous Jackson sound and the hyper-fast playability required by the fleet-fingered bassist, this five-string instrument is a force to be reckoned with. Redesigned ergonomic contours provide the perfect platform for launching a musical assault—the upper contour provides a comfortably stable anchor for pick or fingerstyle playing alike while the lower contour provides perfect balance when propped on a knee. 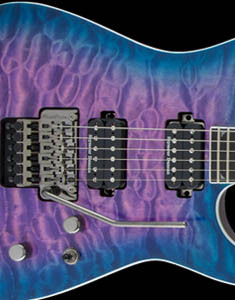 Designed for highly technical lightspeed playing, the 12”-16” compound radius laurel fingerboard flattens out as you move up the neck for increased playing comfort and speedy articulation. 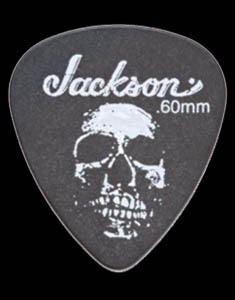 Available in Quicksilver or Satin Black, this low-end leviathan bass proudly displays Jackson’s distinctive style; all-black hardware, including everything from the bridge to the Jackson die-cast sealed tuning machines, durable gloss finish, pearloid sharkfin neck inlays, single-ply white neck binding and Jackson’s signature pointed 5-in-line headstock along with a silver “Fallout” logo and Ellefson’s signature embossed on the truss rod cover.